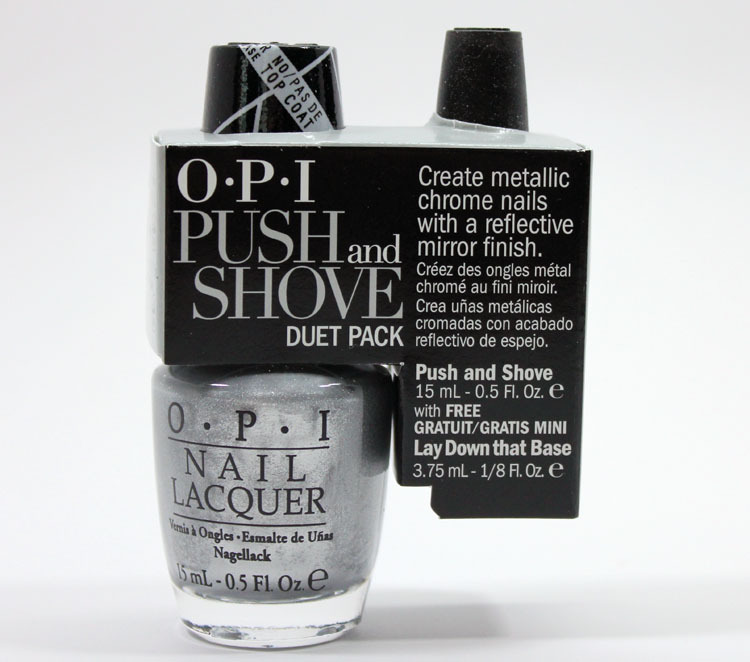 OPI Gwen Stefani Push and Shove Duet is part of the larger OPI/Gwen Stefani collaboration which recently came out. This is a special kind of polish. You have to use a special base coat called Lay Down That Base with it in order to get it to do what it does. And what does it do? 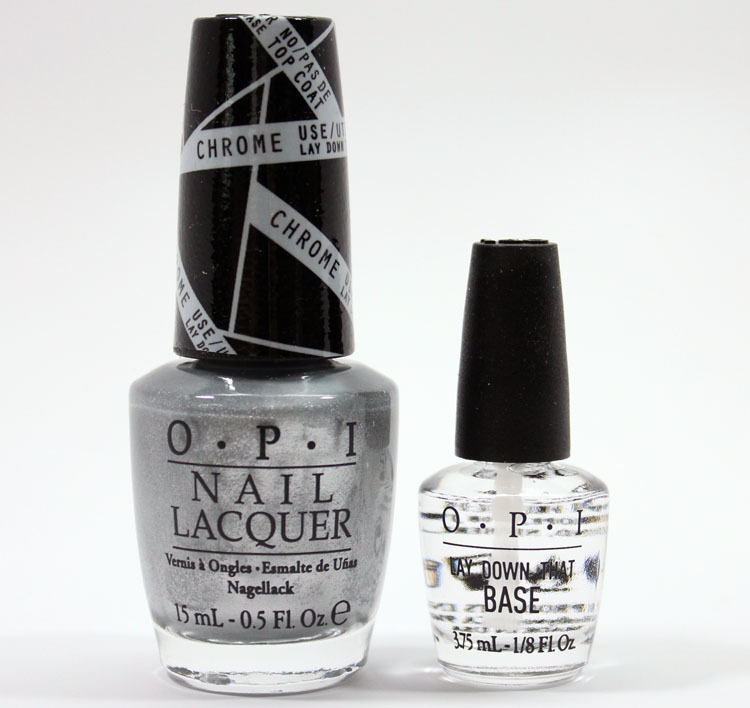 It creates a super metallic chrome look, like a mirror! I wasn’t sure what to expect from this one, I kind of thought it wouldn’t be all that impressive in person. 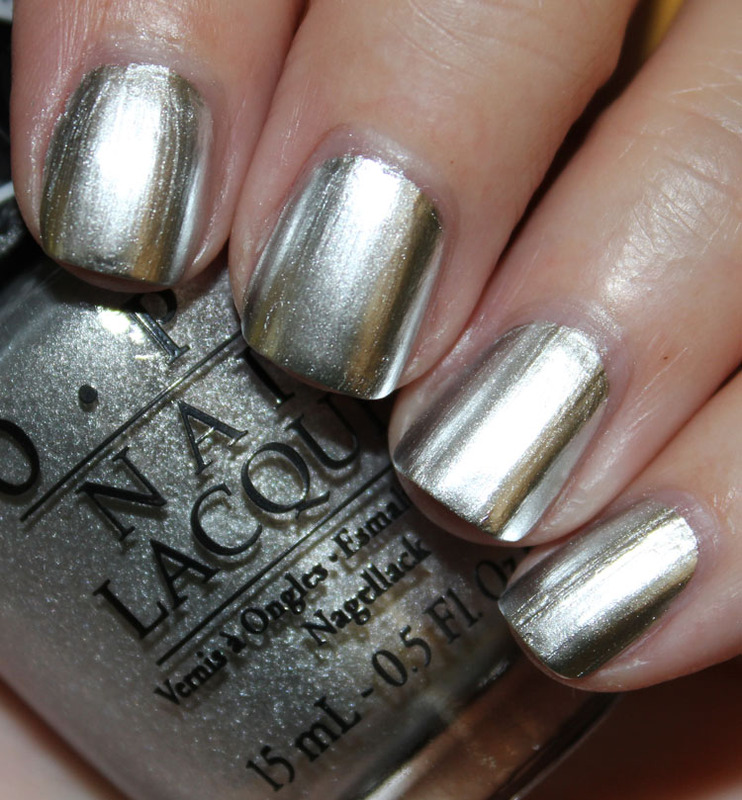 But it’s actually pretty cool and it’s definitely the most mirror-like silver polish I have seen in person. All you have to do is use one coat of Lay Down That Base and let it dry. Then paint on two coats of Push and Shove on top and BLAM! You see it turn into this really mirrored-looking silver. You don’t use a top coat with it and it’s actually only meant to be worn for one night. Overall: I am impressed! I kind of assumed it would just really be another metallic silver and nothing special, but it’s most definitely much different than anything else I own. Availability: Ulta, Trade Secret, Pure Beauty JCPenny, Dillard’s, etc. Pricing: $9.00 for the set. Are you going to try out Push and Shove?